Zion's New Name: Understanding Israel - The Church, The Jewish People, and the Struggle for Identity - Coming Soon. 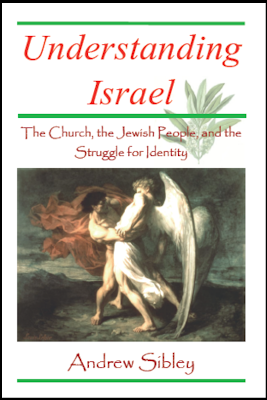 Understanding Israel - The Church, The Jewish People, and the Struggle for Identity - Coming Soon. A new book is coming soon. It is heavily revised from Zion's New Name to the point where a new title was considered necessary. This book seeks a biblical approach to the identity of Israel, and grew out of the previous title Zion’s New Name as a heavily revised work. There is polarised opinion between Christian Zionists on one side, and sceptics of the State of Israel on the other. These sceptics are usually accused of holding to Replacement Theology, but this is often rhetorical and fails to address the issues. Here the aim is to get to the heart of Scripture through a careful analysis of the Prophets and the New Testament. In this sense I am taking a broadly classical Reformed approach, but also seeking to get to the truth of Scripture. I seek to avoid the excessive political activity of both sides of this debate on the left and right. Scripture reveals clearly that a remnant of Jews continued from the Old to the New Covenant, as evidenced by the 120 in the upper room when the Holy Spirit came on the day of Pentecost. During the first century Jewish believers in the Messiah helped to lay the foundation of the Church, and we should not overlook their hard work and sacrifice for Jesus. Later, the outward Jewish identity of the growing Church was overshadowed as more Gentiles joined, but the Church remained as the called-out remnant of Israel, formed in the Messiah. In this light I discuss the theological themes of remnant and continuity in relation to Israel. However, we need to remember to express love to the Jewish people and offer regret for their suffering through history. The final great hope is that they will experience a great revival before the Messiah returns, and come to experience the fullness of life in Jesus.